Product information "Water Detection Cable"
Protect your mission critical infrastructure against water damage. Didactum`s Water Detection Cable was designed to detect water and moisture in larger infrastructures such as data centers or logistics areas. Protect false raised floors and lowered ceilings against water leaks. The actual water pipes can also be equipped with Didactum`s Water Detection Cables for immediate detection. This Water Detection Cable detects distilled water and battery acid. It is available in individual lengths up to 50 meters. The installation of Didactum`s Water Detection Cable is easy. 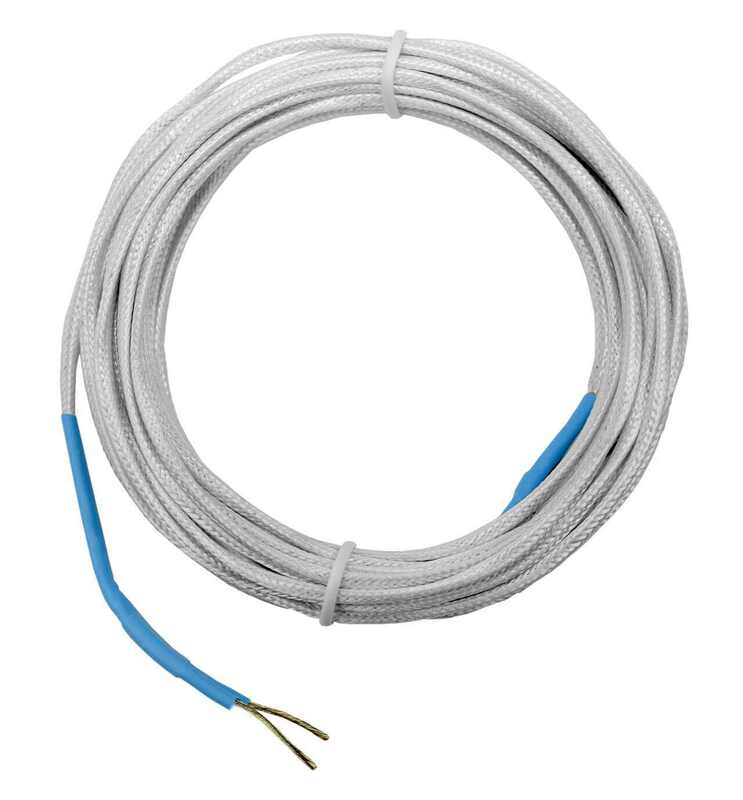 After you have installed this water rope under your raised/false floor you can simply connect it to your Didactum Water Leak Cable Sensor (item No. 14020). Important: Please note that you have to order this sensor separately. After you have connected the Water Leak Cable Sensor to one of the 8 sensor ports on your SNMP enabled Didactum Monitoring System, the Water Detection Cable is automatically detected and displayed in the units multilingual Web GUI. In the units Web GUI you can easily define the individual notifications and alerts in case of water detection. The Didactum Monitoring Systems supports E-Mail, SMS (GSM modem mandatory) and SNMP traps to SNMP-tools and NMS. The Didactum Monitoring Systems 500 and 500-DC unit can also switch relays automatically to signal alerts to other building management systems. All events are stored in integrated Syslog of the Didactum remote monitoring device. Please note that you must order the sensor water for water cable separately! Related links to "Water Detection Cable"
Installation 2-pin terminal strip mounted onto water detection cable end, a strip inserted into a water cable sensors terminal socket. Gently lay the cable in the right place. Beware, the conductor self-hardening, with a strong bend remain nodes. Customer evaluation for "Water Detection Cable"